Mexico Developers Selling Cheaper Alternative to U.S. Luxury Senior Housing. A popular tourist spot, beachfront real estate and a newly converted resort hotel adds up to what developers say will give luxury senior housing in the U.S. a run for its money south of the border. Those are the ingredients for Front Beach Retirement Mexico, a Mexican development company that sees opportunity in targeting American and Canadian seniors looking to retire in Mexico, particularly the widely popular tourist town of Puerto Vallarta. 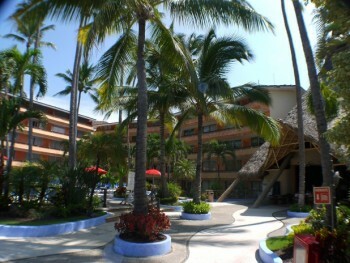 Through an agreement with the Las Palmas Hotel, Puerto Vallarta-based Front Beach Retirement converted the 225 rooms of the all-inclusive hotel into an independent and assisted living community, Front Beach Puerto Vallarta. Though the company declined to disclose costs associated with the senior housing transformation, Ketner—who previously worked for A Place for Mom and as a caregiver at Aegis Living—told SHN that the overall spending on the conversion was minimal, as many of the rooms and accessibility features, such as hand rails, were already in place. The main cost, he says, was to convert a room into a doctor’s office. The community embraces its hospitality roots, offering amenities like housekeeping services, two swimming pools, various dining venues, large common areas, direct beach access, a Tiki Bar and Internet accessibility. Where the campus caters to its senior clientele becomes apparent with medical alert systems in every room, daily activities programming, transportation to medical appointments, wheelchair accessibility and 24-hour care provided by on-site nurses as caregivers and a resident physician who also lives within the community. Aside from the seaside real estate and all the resort-style amenities included, the biggest draws for the Puerto Vallarta community are its lower price points on monthly rent and healthcare, says Ketner. For $3,000 a month, residents at the Puerto Vallarta community can enjoy rooms with panoramic views of the Pacific Ocean, as well as utilities such as air conditioning, electricity and water that are included in the rent. For double occupancy rooms, the monthly rent is $4,600. In the U.S., the costs for assisted living are considerably more expensive at $3,500 per month, according to the 2014 Genworth Cost of Care Survey. While this figure signals a 1.45% increase in the last year, costs for assisted living have grown 4.29% annually on a five-year basis—the highest of all long-term care settings recorded by Genworth. 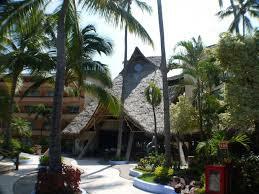 A unique feature of the community is that it doesn’t restrict its age-50 and up cliente to a one-month stay minimum. In another attempt to target those “snowbird” vacationers heading for warmer weather during their retirement years, Front Beach also offers one-week stays at $780 for single occupancy and $1,100 for doubles. 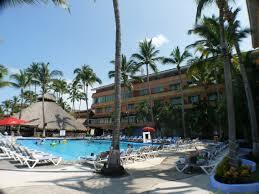 Additionally, a two-week stay runs $1,509 for a single and $2,140 for a double room. Still in its early stages of operations, with a grand opening slated in the next couple of weeks, Front Beach Puerto Vallarta has seen about 10 leads looking to move in come September so far.